Includes brunch buffet and complimentary champagne. 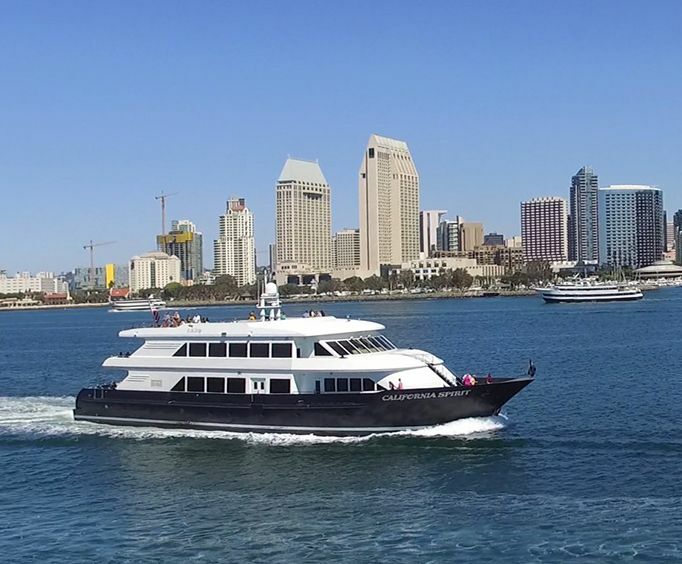 Take a Sunday Brunch Cruise to get sunny views of the San Diego skyline from the San Diego Bay and to enjoy a brunch buffet. 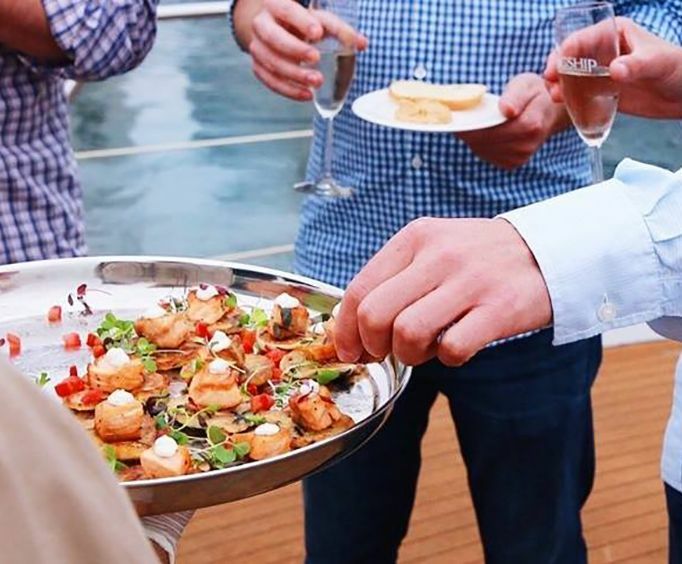 On this 1.5-hour cruise, you'll be able to enjoy as much food as you like along complimentary champagne and gaze out from the deck of the Spirit of San Diego to take in amazing city and bay views on this relaxing mid-day tour. The relaxing bay cruise includes a buffet stocked with classic American breakfast dishes, plus plenty of seasonal lunch entrees and richly decadent desserts. The helpful guide will tell stories and give guests historical context as the ship sails past amazing San Diego sights including Coronado Bay Bridge, the Star of India, the North Island Naval Station, and the barking sea lions of Point Loma. So sit back, relax, and enjoy two hours spent on a luxurious yacht for the ideal way to see the Bay! 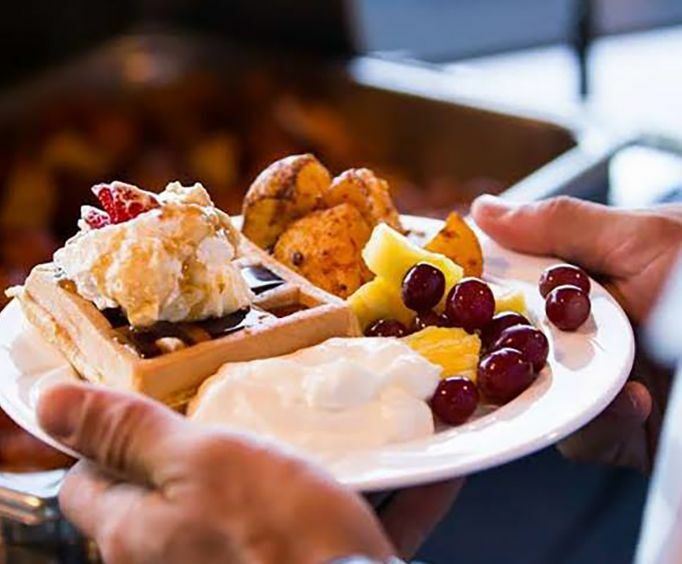 Buffet menu items include breakfast items like Belgian waffles, fresh fruit, scrambled eggs, and made to order omelettes, plus lunch items like carved turkey and roast beef, chilled seafood, and salads. This brunch cruise is a perfect way to start off a day of sightseeing in San Diego!